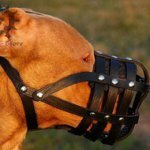 Does your Pitbull need a collar with padding? This is a reasoned choice for a puppy to protect its tender neck from traumatizing. Padded collar is great for Pitbull, which has behavior issue of leash pulling. 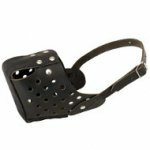 The collar will help to avoid injuries and to make dog handling safer. 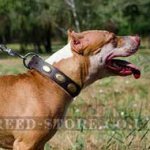 A collar with padding is perfect for Pitbull with tender skin to avoid any problems and discomfort. 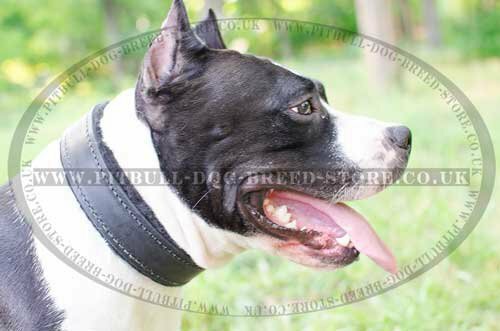 Pitbull padded collars provide maximum comfort, prevent from coat damage, rubbing, irritations and cutting into skin. 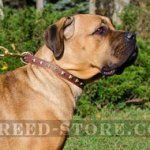 There are various linings for collars, but Nappa leather and felt are the best suitable ones to make the collars comfortable and safe. 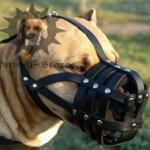 Which one will be suitable for your Pitbull? Felt is thick and soft material, which is light-weighted and durable, practical and hard-wearing. Its edges won't fray. Felt is dog-friendly and pleasant to the touch. 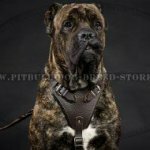 Pitbull padded collar with felt is ideal for the dog of any age from the puppyhood to the adult. The collar is functional and serves for everyday activities. Felt is warm and padded collar fits well in cold weather. 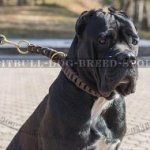 Padded Pitbull collars with Nappa have their distinct advantages also. Nappa is real leather type. Its quality is the highest and processing is the finest. Nappa looks expensively and adds luxuriousness even to the collar of simple design. 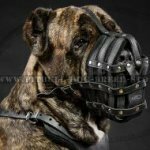 Nappa lined collar will show off your Pitbull whenever you go and whatever you do. Nappa is wearproof in spite of its light weight and fineness. It is well-oiled and nice to the feel, harmless and pleasant to wear, non-toxic and hypoallergenic. Nappa is also water-resistant and easy to take care of. 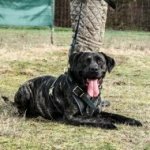 Nappa lined Pitbull collars are perfect for powerful and active dogs of medium and large sizes, which need reliable control. Such a collars are of extra durability and Nappa lining makes them comfortable and safe. Whichever collar you buy, you get a usable item for Pitbull or similar breed. It depends on your dog's size and age which one to choose.